It’s amazing how a band from ’70s Southern California whose contemporaries included the Eagles, Fleetwood Mac, Linda Ronstadt and Jackson Browne never really achieved mass popularity. That’s one unique aspect of the history of Little Feat, led by the late Lowell George: that their music was contrary to the fads at the time, although they tried to make a dent on radio and the album charts. 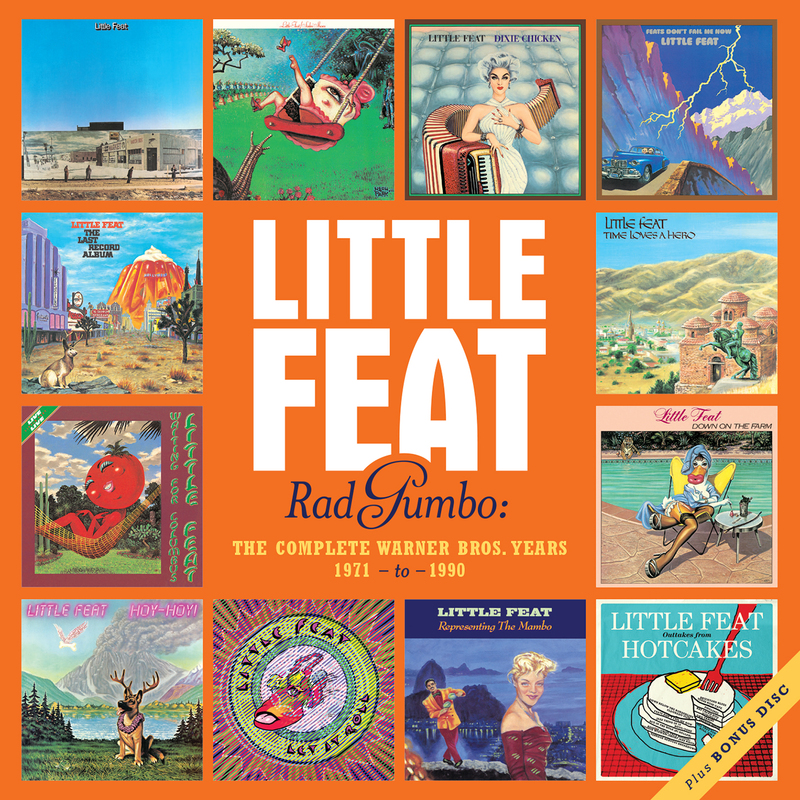 As the title of this new 13-CD retrospective collection of all their recorded output for Warner Bros. indicates, Little Feat’s music is a tasty stew of different genres, specifically folk, New Orleans, jazz rock, R&B, country and funk. A survey through all their records beginning with the self-titled debut reveals a consistent body of work (highlights include Sailin’ Shoes, the classic Dixie Chicken, and the popular double live album Waiting for Columbus) of great musicianship and George’s eccentric lyrics and vision. The post-George albums, Let It Roll and Representing the Mambo, saw the band picking up where it left off and is still going on strong today. Rad Gumbo also contains a bonus disc of previously unreleased tracks and alternative versions of songs that first appeared on the 2000 box set Hotcakes and Outtakes. There’s plenty of that musical gumbo here on this new collection from a band that deserved more than what they got.